Based in Kalamazoo, Michigan (halfway between Detroit and Chicago), Ultra Forms Plus has been serving the independent distributor market exclusively since 1991. Our focus is the production of short run laser and continuous checks, forms, unit sets and general printing. All products are custom offset printed. We have over 2,500 of today's most popular software formats filed electronically, including DacEasy®, Great Plains®, Peachtree®, and QuickBooks®. 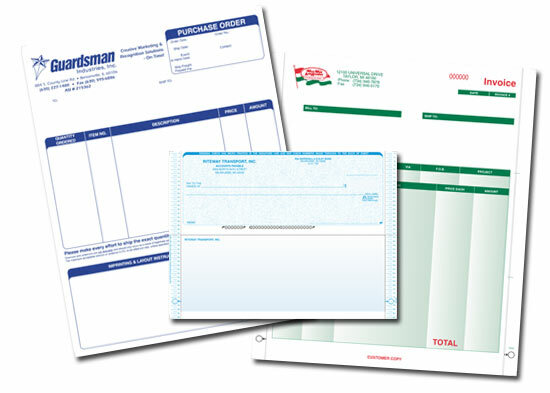 It's our philosophy to help make the handling of short run forms orders as "hassle-free" to our customers as possible. We strive to build long-term relationships with our customers, and we are confident that you will find us to be an easy and flexible company to work with.